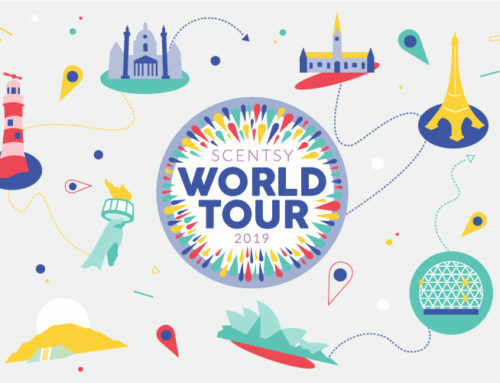 Today, May 11, 2017, Scentsy launched a fun, new collection of scents inspired by the beautiful, tropical Havana, Cuba. There are five scents in the limited-time collection of scents that are a perfect way to kickstart summer! The five scents are; Cafe Cubano, Flor de Mariposa, Habana Vieja, Pastelitos, and Playa de Varadero. There are even three different ways you can buy these fun, new Scentsy fragrances from the Scentsy “La Habana” Collection. The first way, which is what I’m doing, is to buy the Scentsy “La Habana” Collection which includes 1 Scentsy bar of every bar in Scentsy La Habana Collection, and they all come in a super cool burlap sack branded with Scentsy “La Habana” Collection! This bundle also gives you a discount so that you get 5 bars for the price of 4! The second way to purchase these cool new Scentsy scents is in the “La Habana” Bundle. This Scentsy bundle gives 5 Scentsy “La Habana” for the price of 4 but also allows you to pick which 5 scents those are! So, if Playa de Varadero sounds like an amazing scent to whisk you away to a tropical Cuban beach and you want to make sure you have enough to last you all summer, this is the bundle for you! Finally, you can also buy each of the bars individually at the regular Scentsy bar price of $5! So, if you’re looking to try one of each of this fun, new Scentsy “La Habana” collection then the first option is the best for you so you can get 1 of the bars for FREE and get one of each. If you know which one you like or know you won’t like one of the new Scentsy “La Habana” scents, then the second bundle has your name all over it.